Blog Archives | HomeKeepers LLC. 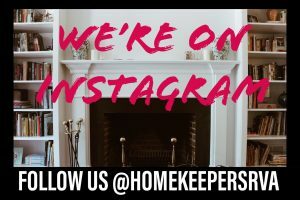 Due to overwhelming demand, we’ve created an official HomeKeepers Instagram page! We’ll be sharing photos of recent and past projects, HomeKeepers updates, stories, and more. And if you still feel like you need more HomeKeepers in your life, check out our page on Houzz. Don’t forget to follow! 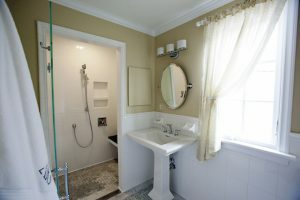 The Richmond Times-Dispatch recently published an article on the rapid growth of the aging-in-place construction and remodeling industry. Written by Carol Hazard, the article offers an overview of aging-in-place concepts and discusses the benefits of planning ahead by adding accessibility features before the need for them arises. Many leaders in Richmond’s aging-in-place community are featured, including Marion Shackford with Adaptive Home Environments, Craig Toalson with the Home Building Association of Richmond, and HomeKeepers principals John Robertson and Lynn Ivey. Donna Edgerton, a past HomeKeepers client, was kind enough to share her experience with HomeKeepers for the story. Click here for the full article. Click here to see more pictures of the work we did with Donna.